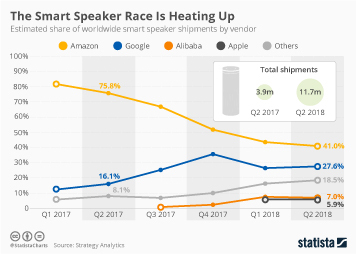 Google is expected to announce several new products today, including a new line of smartphones, an intelligent router and a voice-controlled wireless speaker. 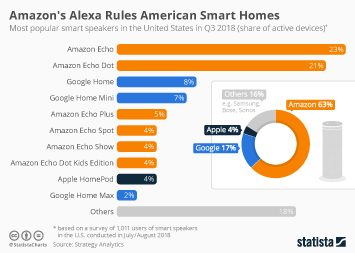 The latter, reportedly called “Google Home” is aimed to become the voice-controlled center of the future smart home and will compete directly with Amazon’s popular Echo devices. 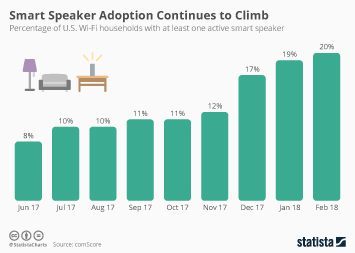 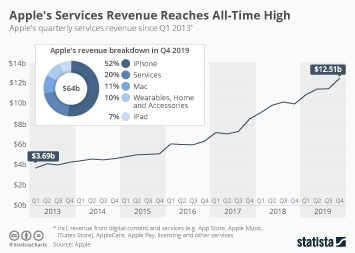 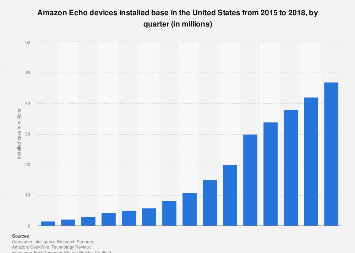 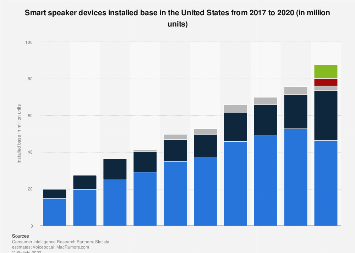 Considering that the market for wireless speakers with integrated virtual assistants is expected to grow five-fold within the next five years, it makes sense for Google to throw its hat in the ring now, before Amazon can build a significant lead. 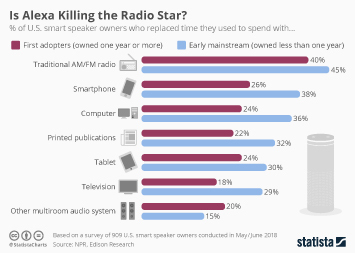 But what are people actually using these things for? 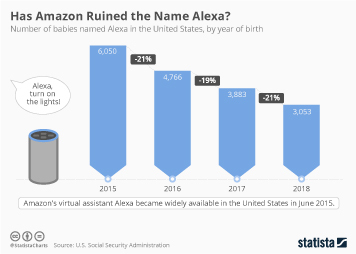 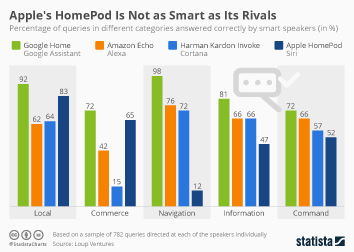 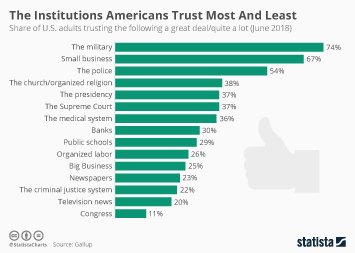 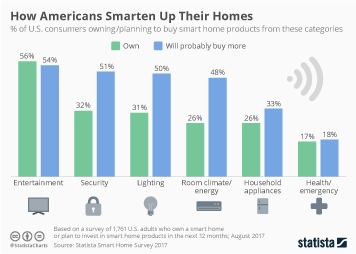 According to a recent survey conducted by Experian, early users of the Amazon Echo try many of the tasks the smart speakers can perform, but so far few of them stick. 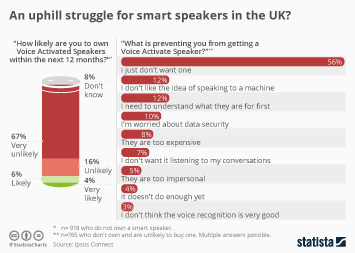 The chart below shows the six most popular tasks that Echo users have asked their speakers to carry out more than once. 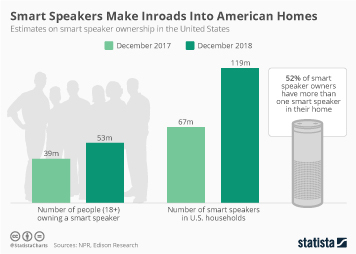 So far, these tasks are fairly basic in nature but as people get more accustomed to using voice-controlled devices at home, we can expect the use of Echo, Home and potential upcoming competitors to extend beyond playing music or turning on the light. 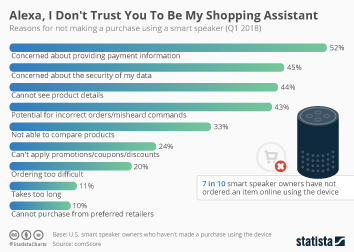 This chart shows the most popular features repeatedly used by Amazon Echo users.